- prepayment method, for this principal it is not necessary to sign the contract, since the use for this method is based on prepayment before use. - credit method, for a fix period of time, and for this principal it is necessary to sign a contract for using TransNet for 1 year. 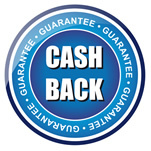 Cash back guaranty within 14 days from purchase. Become_member of TransNet.